Resolving conflict, effectively, is a talent, and if mastered at a young age will carry through into adulthood. By aiding children in learning how to manage conflict, we will help them to experience a joyful social life filled with genuine friendships. 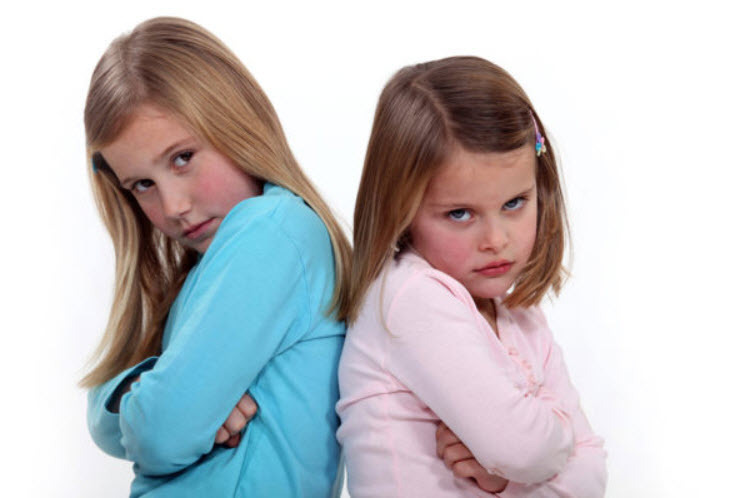 By equipping children of all ages with conflict resolution strategies, we will help them in being a good friend. Outlined below are several strategies that are proven to be effective in resolving conflicts in most situations. Frustration, anger, and other strong emotions may run high during a conflict; therefore, all parties need to step away and calm down. Attempting to resolve an issue, while children are upset will never work. While one party is speaking calming, the other party should be listening. Listening is something that can be difficult, and if this is not mastered as children, it will never be part of their adult lives. Active listening requires one person to actually see the situation from the other person’s view – even if they don’t agree. In addition, active listening means that you are looking (not staring) at the other person, to indicate that they have your full attention. Also, do not interrupt when the other person is speaking, but add some “listening noises”, to confirm that you are hearing and understanding what the other person is saying. Finally, when the other person is finished speaking, repeat what they have said, so that you understand, and the other person feels confident that they have relayed their feelings in a way they feel valued. An apology is the first step to repairing damaged relationships, and makes improvements from this moment forward. When an apology is good and sincere, the other person should be hearing regret, responsibility, and a willingness to remedy the situation. Using the words “I’m sorry” is not enough, as you also need to acknowledge how the other person was hurt by your actions and/or words. Also, offer suggestions as to how you will fix the current situation and avoid it in the future. In addition to apologizing, ask for forgiveness for your part in the conflict. On the other hand, an insincere or “bad” apology falls short, if the victim is blamed or criticized, behavior is justified, or excuses are made, and consequences are minimized. An example of a bad apology would be, “it was just a joke”. Children should be empowered to brainstorm a solution on their own, with the aim being to find a solution that makes everyone satisfied with the results. Children should be reminded that every opinion should be heard, and that no idea should be criticized or deemed “silly”. Writing down any and all ideas is a great way to view a feasible solution, and to resolve a conflict.